chocolate eggs as they are part of the tradition to give, share and eat chocolate eggs, chocolate bunnies, or chocolate lambs at Easter. Last year, Australians spent over $200 million dollars on chocolates. 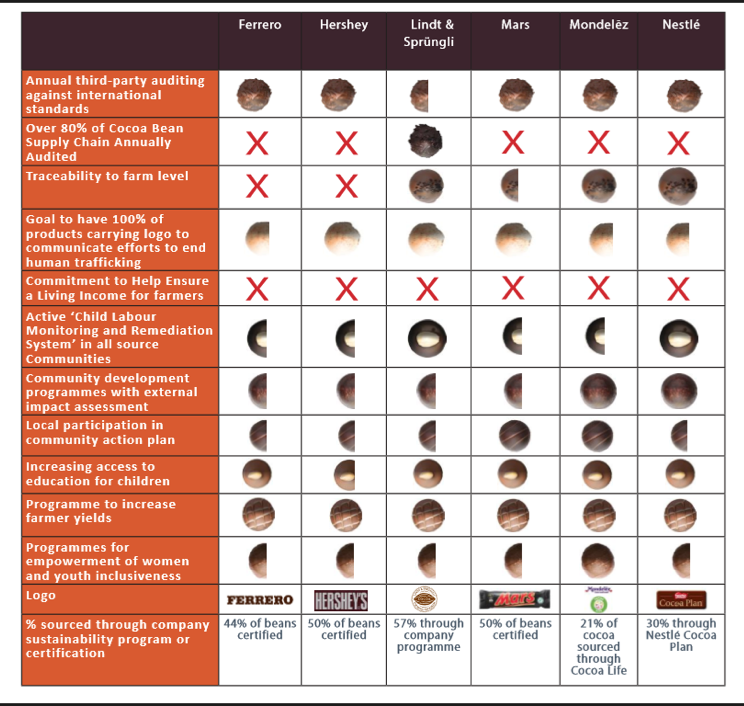 providing programs to increase cocoa yield. However, it is striking that no company has made a commitment to ensuring a living income for the farmers. According to CocoaBarometer, for every tonne of cocoa beans, farmers receive only 6.6% of the final price. It is ironic that the increased yield has resulted in a decrease in the price of cocoa by 30-40%.